We all love Vans Classic slip ons, I mean how can you not? 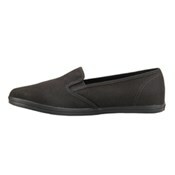 They are comfortable, high quality, and fashionable. But sometimes you want a slim look, something that will elongate your legs and look feminine or even formal. This is the shoe just for that. Its got a super slim silhouette that makes it perfect to wear with skirts or dresses. 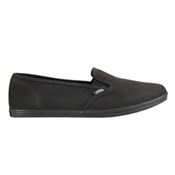 Its also got the funky non-conformist look that Vans do so well! 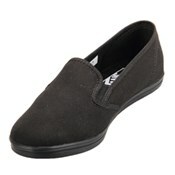 They are comfortable enough for all day wear, even for work. Whether you are going out for a night on the town, or just chilling at home, these shoes are perfect.